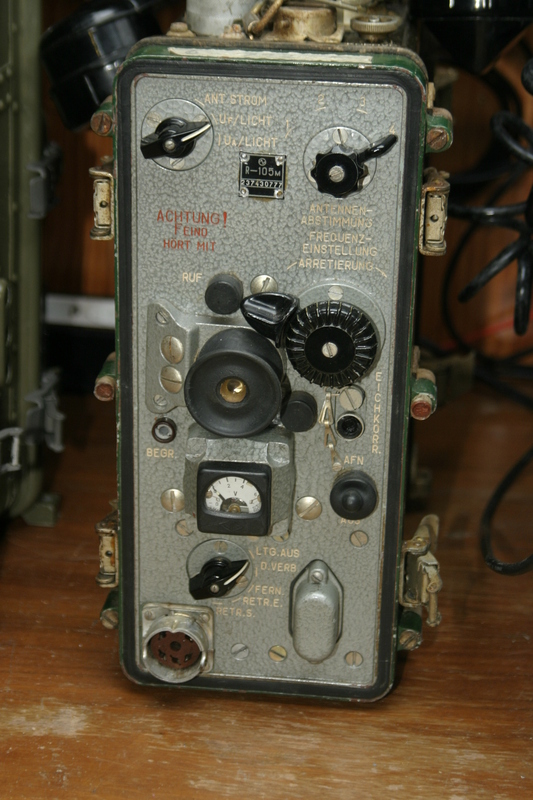 From EBay I got this old transceiver. R-105 M (R-108m, R-109 M) is a portable and a mobile backpack. Operating mode is F3, simplex. It can be operated by remote control and used at relay operation. It co-operates with R-107, R-111, R-123; of course also with R-105d, R-108d and R-109d. Build in the 60ies. Mass + weights: L/b/h: 310 x 170 x 325 mm; 14 kg. Frequency departure: + – 4 kHz, which can be controlled with the inserted xtal calibration generator. Accessories: Kulikow antenna and Telephone handset.